Please explore our pages for more details. 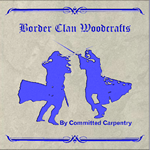 This site and all original materials contained here are Copyright © 2005, by Committed Carpentry All Rights Reserved. You may link freely to this site.